The International Monetary Fund on Monday raised its forecast for China's economic growth this year by 0.3 percentage points to 6.5 percent, on expectations of continued policy stimulus. 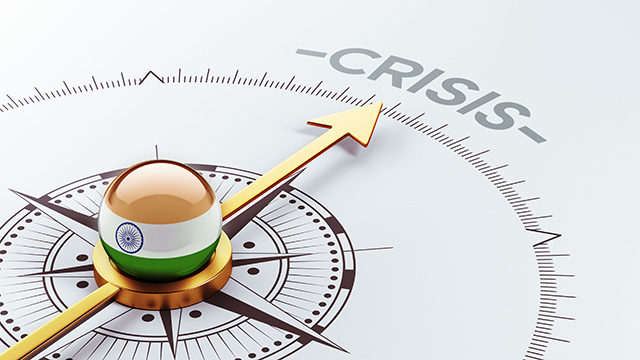 At the same time, it downgraded India's growth outlook by 0.4 percentage points to 7.2 percent as consumption in Asia's third-largest economy takes a hit from the government's recent decision to abolish large currency notes. China's economy grew 6.7 percent over the first three quarters of 2016, in line with the country's 6.5 to 7 percent growth target, but risks are also increasing with growth reliant on government spending, record lending by state banks and an overheating property market. The IMF warned of the risks to China's economy of a sharp slowdown or disruptive adjustment as the government has been slow to tackle high corporate debt, with capital outflows also potentially exacerbating pressures. China's corporate debt has climbed to 169 percent of GDP and international institutions have repeatedly urged Beijing to act quickly to tackle the problem in order to avoid a financial crisis. The country's leadership said China will focus on tackling financial risks this year, and the head of the state planning agency said China would cap the corporate debt ratio at current levels. But China's record 17.8 trillion yuan ($2.58 trillion) in credit last year has left analysts sceptical that policymakers will be able to wean the economy off years of debt-fueled growth and still hit official growth targets. The IMF's forecast for a 6.5 percent expansion this year is roughly in-line with analysts and policy insiders who have said China is likely to target around 6.5 percent growth in 2017. The IMF raised its forecast for China's 2016 growth to 6.7 percent from 6.6 percent, but still expects China's growth to slow to 6.0 percent in 2018. The IMF maintained its forecast that global growth will pick up to 3.4 percent this year and 3.6 percent in 2018 from the 2016 estimate of 3.1 percent. The institution cited China as a key factor driving a faster global recovery this year, but a slowdown in the world's second-largest economy is also as one of the main downside risks to global growth. India, which has recorded some of the world's strongest recent growth, is experiencing a shock to consumption from the government's decision in early November to withdraw larger currency notes from circulation to crack down on tax dodgers and counterfeiters. Citing the blow to the cash-reliant economy, the IMF chopped a full percentage point off its fiscal 2016-17 growth outlook to 6.6 percent. The fiscal year ends on March 31. The Fund trimmed its fiscal 2017-18 forecast for India to 7.2 percent from 7.6 percent.